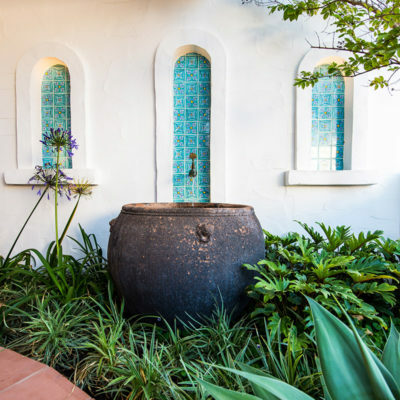 This architecturally designed home by Klopper Davis features three distinct yet dynamic outdoor spaces. 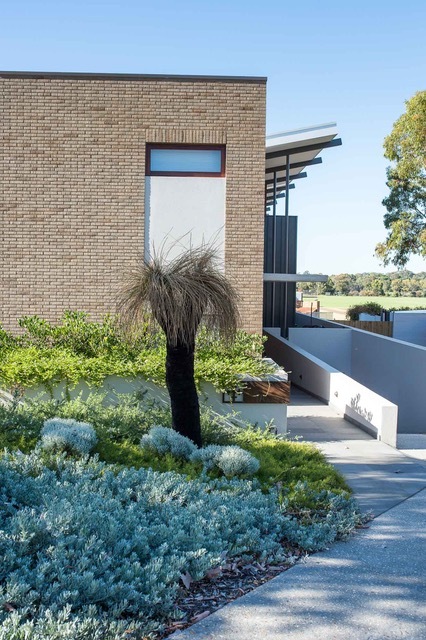 The first area on this steeply sloping site, is the verge and front garden which has been designed to complement and act as a foil for the striking facade of the home. 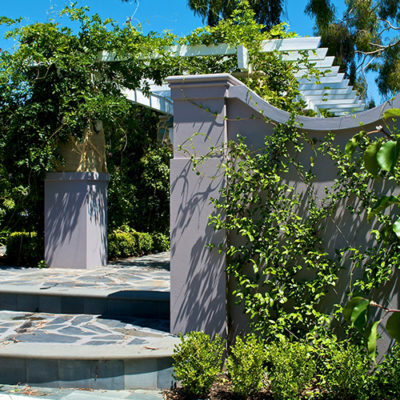 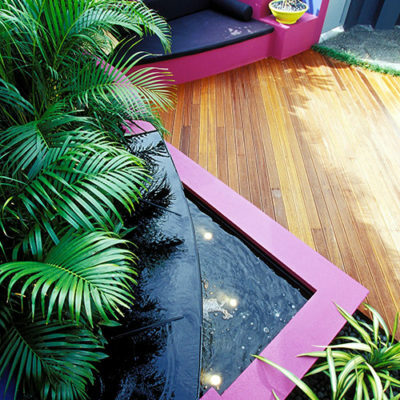 It comprises Australian, South African and exotic waterwise plants. 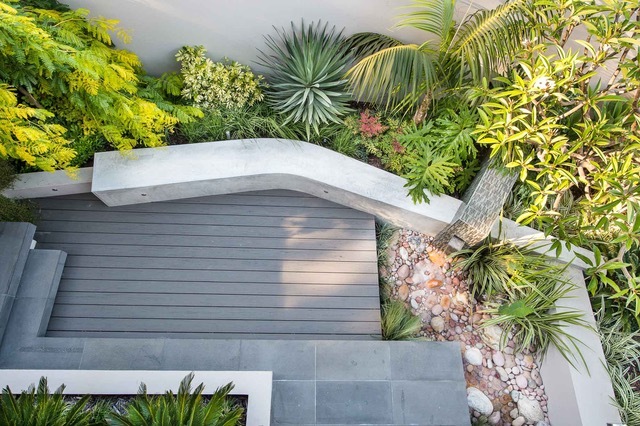 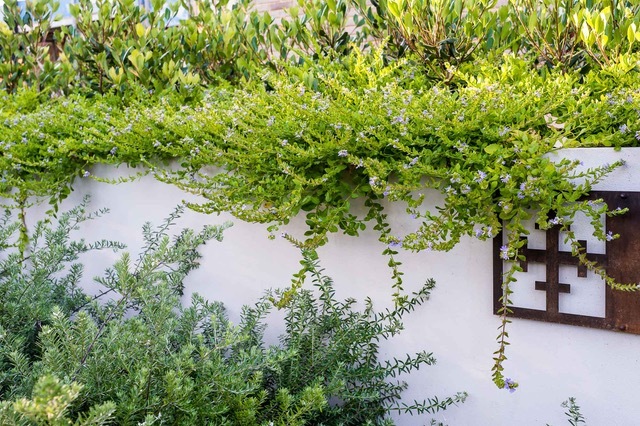 Enter along the suspended bridge to the front door and immediately opposite the door is a roof garden which uses a dado finish low concrete border wall which mirrors the shape of the home’s butterfly roof. 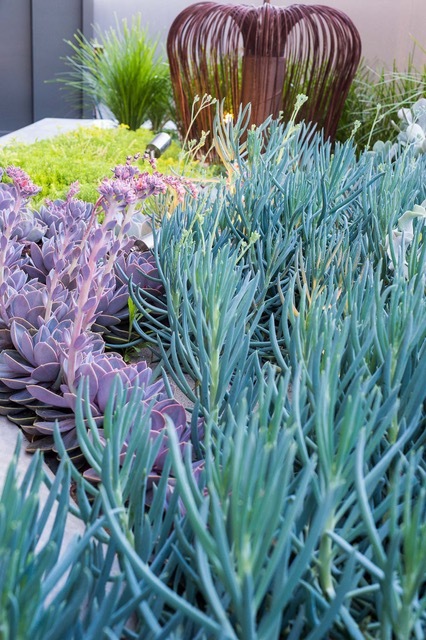 The roof garden has only 150mm soil and is home to succulents, grasses and a corten steel grass tree purchased by the owners. 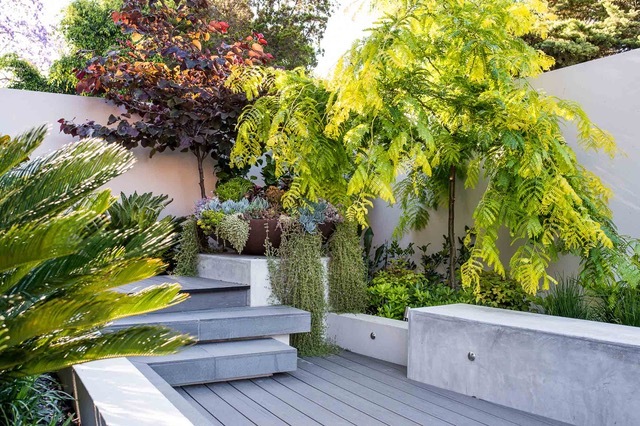 The rear courtyard uses composite decking, bluestone and concrete to create a series of interesting platforms and seating areas. 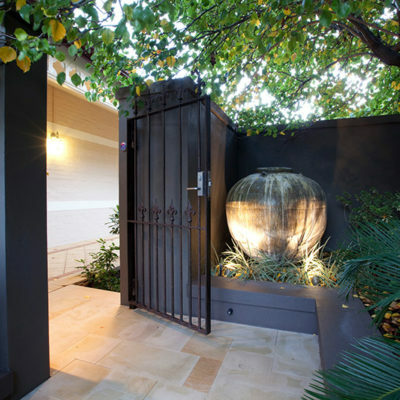 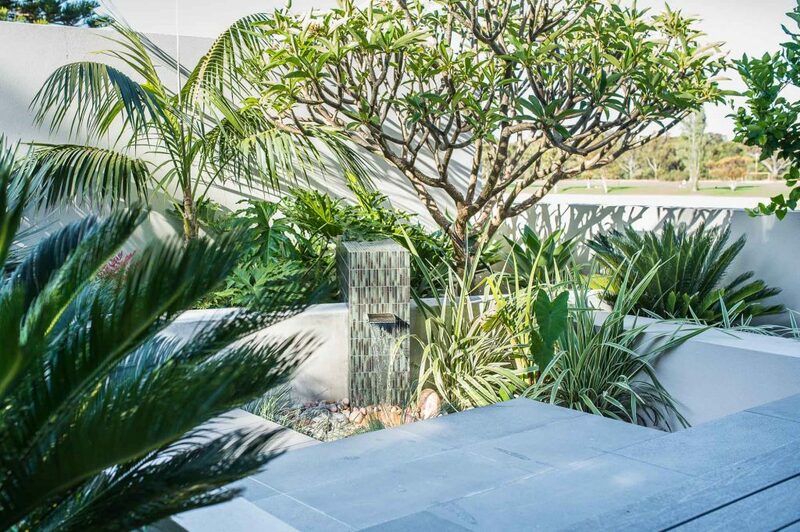 The contrasting foliage and angled blade water feature create an urban sanctuary worthy of this beautiful home.